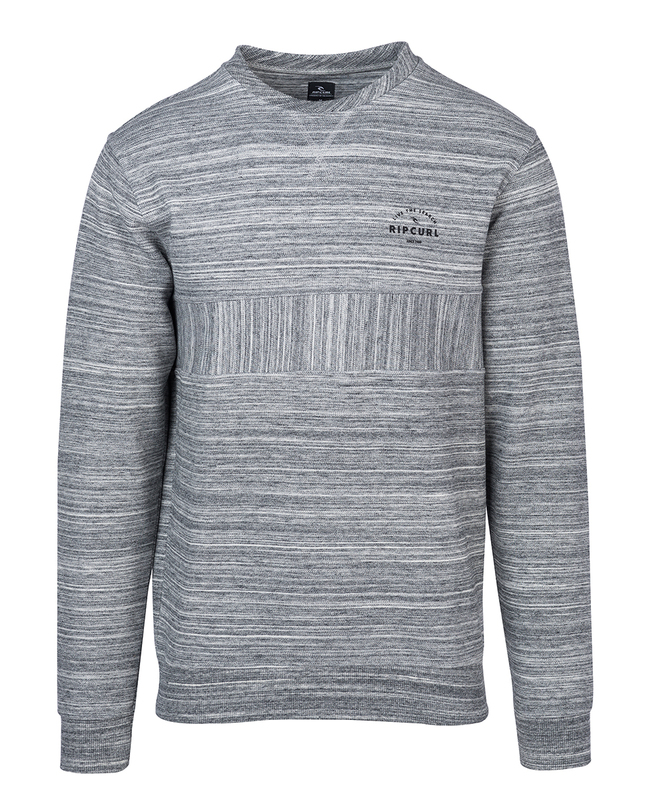 The Captain Crew neck Fleece is fashionable with its fresh details. Detailed with cut and sew tape, a collar V insert detail, contrasted ribs and tiny HD print. 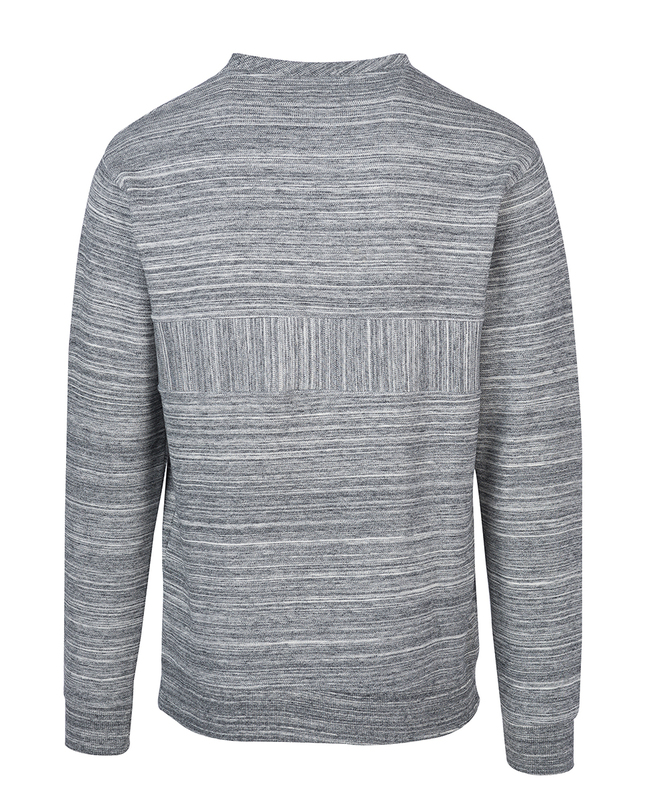 This heathered crew is a musthave for winter.